In a concert hall, just downtown…. 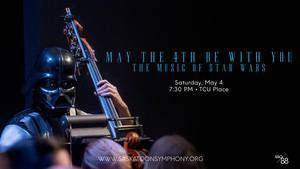 The force is strong on May 4th: there was only one concert we could possibly have on this night! Join the SSO as we get our Star Wars on. The evening features music from The Last Jedi, Rogue One, Solo, and the original trilogy. Hear the music of the films with a full symphony orchestra –the ultimate surround sound experience for your May the Fourth celebrations. SASKATOON SYMPHONY ORCHESTRA The SSO operates 4 diverse series of professional performances: Pops, Masters, Sunday Chamber, & Baroque. The SSO’s performances also include After Dark, Time for Toddlers, school shows, and shows in Senior homes.